Ottervale Featheredge Garden Gate - Blamphayne Sawmills Ltd.
Convex dome topped, framed all round. Frame made from top quality planed, treated Scandinavian Redwood. 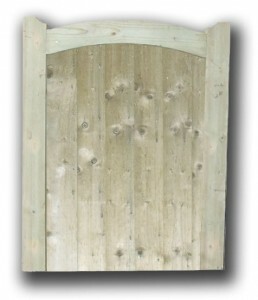 Ideal for garden pathways and entrances.